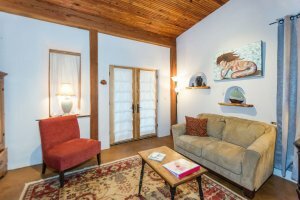 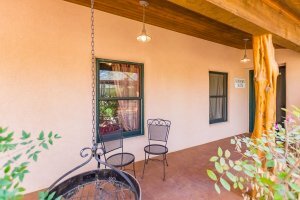 Sundown Suite is a private luxury suite that occupies the west wing of Casa Grande and is waiting to help you unplug, unwind, and enjoy yourself. 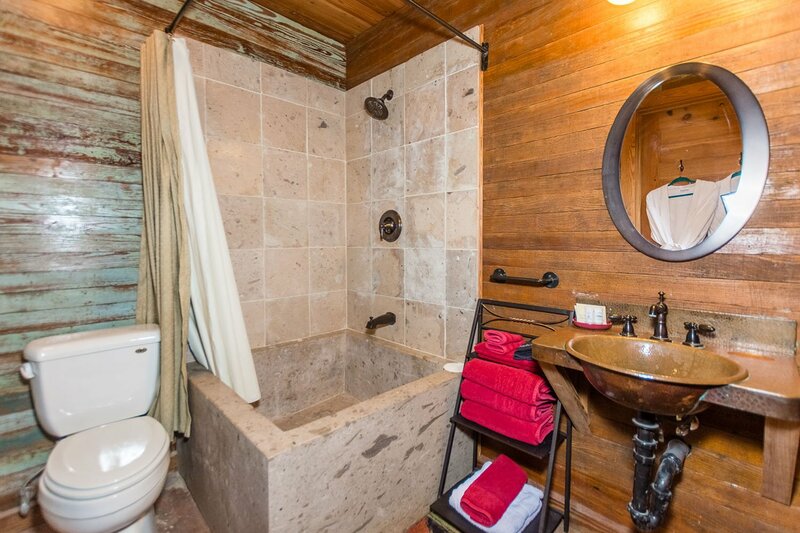 A king-size bed, luxury robes and a beautiful cantera stone Brazilian tub and shower await you. 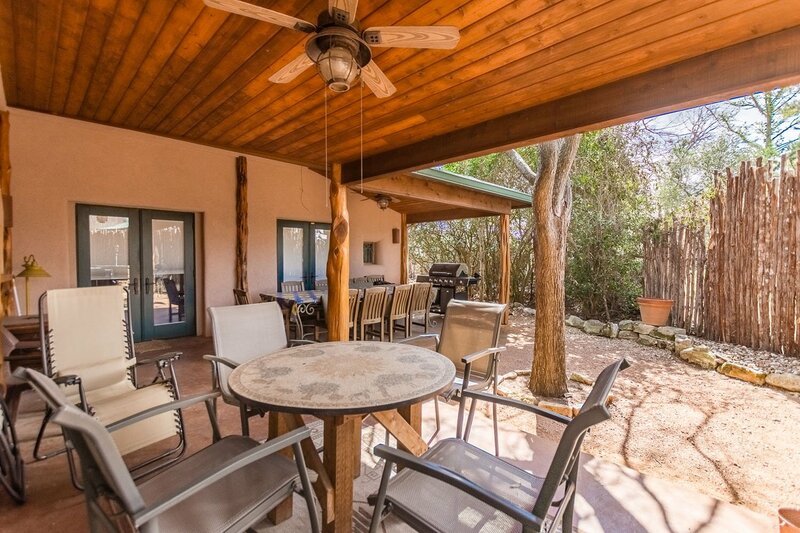 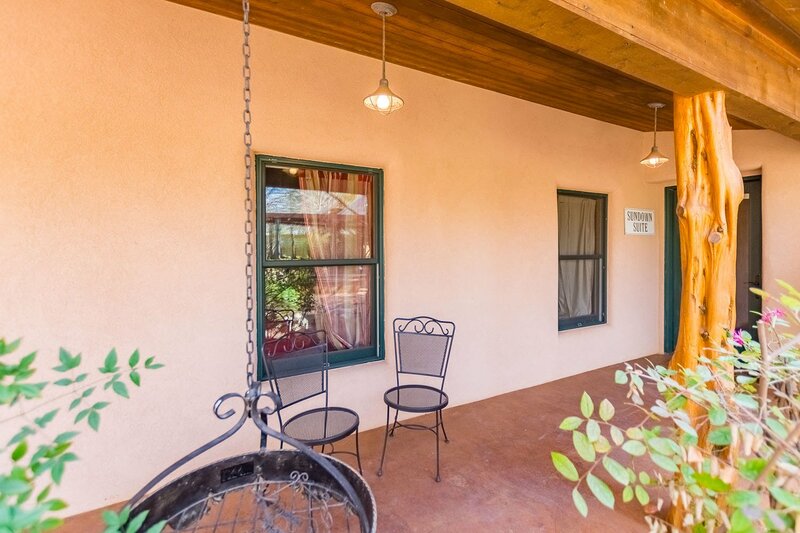 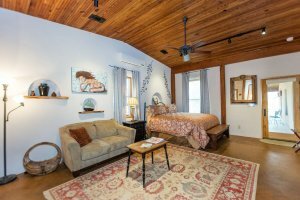 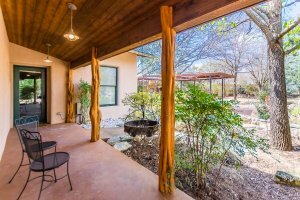 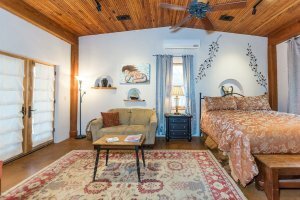 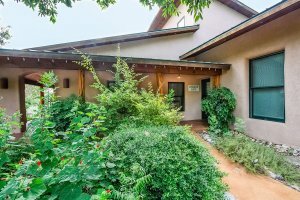 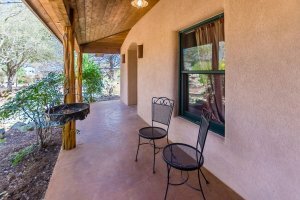 The suite is surrounded with southwest style landscaping and a secluded covered back porch area. 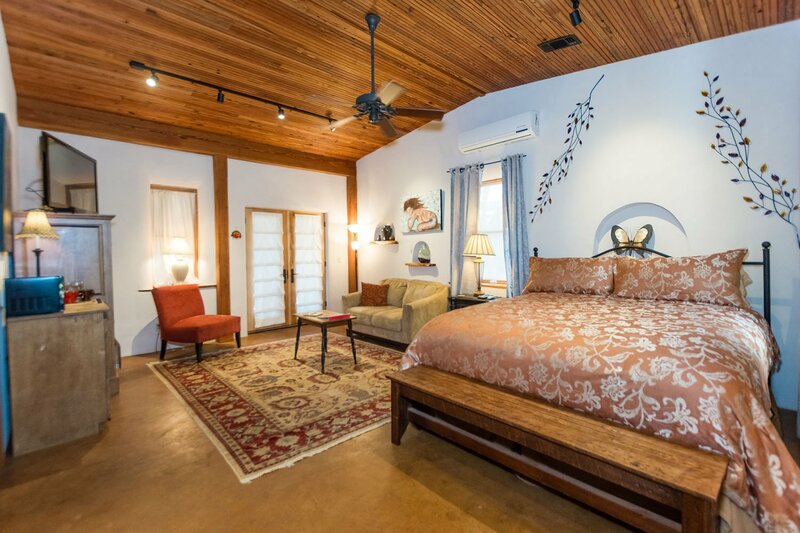 Sundown Suite is a short drive back to our wonderful Main Street area and is ready to help you have a wonderful weekend in Fredericksburg. 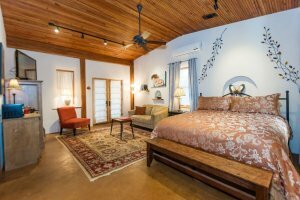 Give us a call to book your stay and Sundown Suite today.